Richard Lee Harris, born August 6, 1932, in Dallas, Texas, completed his earthly work and answered the Lord's call to "Come Home" on September 4, 2018, age 86. OMAHA, NE and LIMESTONE, Maine – Richard Lee Harris, born August 6, 1932, in Dallas, Texas, completed his earthly work and answered the Lord’s call to “Come Home” on September 4, 2018, age 86. He is preceded in death his parents, Richard and Mary (Balch) Harris; his wife, Juanita Ruth (Cameron) Harris; his brother, George A. Harris; and his sister-in-law, Setsuko Harris. Richard served in the United States Air Force as a Chaplain Services Specialist and while stationed at the now closed Loring Air Force Base located in Limestone, Maine, he met his wife, Juanita Ruth Cameron during the summer of 1953. They were married on September 2, 1954, and in 1958, a military assignment transferred him and his family to Alaska. After several years of military assignments around the country, Richard separated from the United States Air Force in 1967, and settled his family in Limestone, Maine. 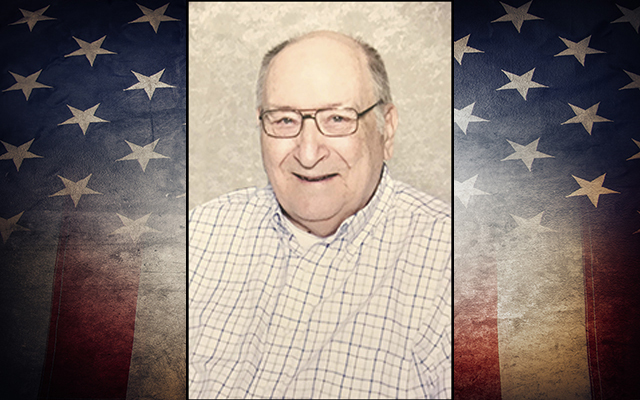 He worked for the Civil Service Commission at Loring Air Force Base until he retired in the 1990’s. He also served in the Army National Guard of Maine from 1977 to 1986 and retired as a Staff Sergeant in 1992. While living in Limestone he served on the Limestone Budget Committee and Planning Board Committee for several years. He also did the ground work for the naming and numbering of streets and roads within the Limestone town limits for the State of Maine E-911 Program. He is survived by his children, Bonita Hopper and husband, Ralph of Cedar Bluffs, NE, and Dale Harris and wife, Karen, of Christchurch, New Zealand; his grandsons, Rev. Erik Boulier and wife, Pam of Ripon, WI, Gene Hopper and wife, Michelle, Chris Hopper and wife, Katie, and Josh Hopper, all of Omaha, NE; his great-granddaughters, Riley Boulier of Ripon, WI and Ayla Jane (AJ) Hopper of Omaha, NE; his sister, Thelma Kitty Brady and husband, David of Wenatchee, WA; and several nieces and nephews. A private family service will be held on September 11, 2018, at Evergreen Memorial Park Cemetery, Omaha, NE. Roeder Mortuary, 108th St. Chapel, 2727 North 108th St., 402-496-9000.